Imagine that you were able to connect with every client that submitted a question or purchase from your business. Imagine further, that you could automatically connect on a deeper level with every client to celebrate events such as anniversaries or birthdays, automatically send them targeted offers based on their interests or contact them when they’re browsing sales pages on your website. Do you think this would improve your engagement with your prospects and customers and improve your sales? Using marketing automation technology, together with a sales funnel strategy can build retention with these consumers and strengthen your sales performance. Marketing automation technology allows you to automatically display targeted offers to your customers, both on your website and via email or social channels.? You can design a series of email campaigns that are automatically delivered to different consumers based on a certain actions they take on your website. Furthermore, the emails they receive can be tailored to their specific profiles. Think of it as a personal shopper that follows someone around your store (and beyond). This ‘personal shopper’ can learn to understand the customer, make targeted recommendations and provide the right information to them based on what they like. For example, if you have a client make a purchase through your website, through marketing automation technology you can have an email message sent directly to thank them for pursuing business with your organization and offer related products as upsell opportunities. In addition, you are able to create automatic email deliveries for holidays, sales events or as follow ups when they visit your website. 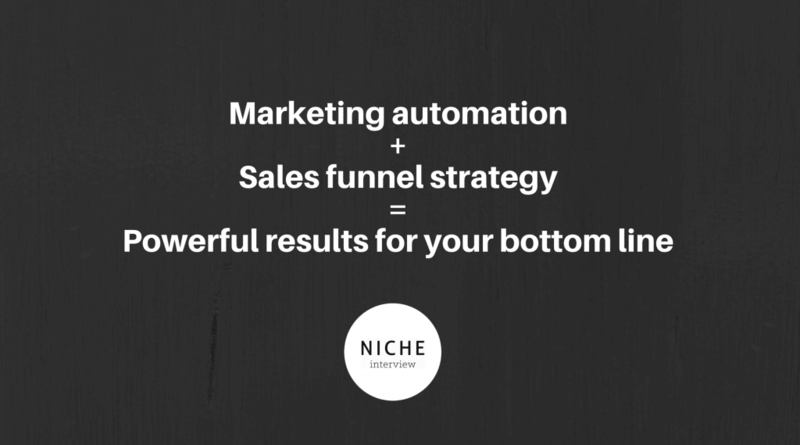 Marketing automation aligns directly with what is known as sales funneling. Sales funnels have been long identified by brick-and-mortar institutions such as banks or financial institutions that advertise to get new clients in the door to establish as savings or checking account; after the customer walks through the door, they are greeted with additional options such as Online Banking and Bill Pay, Credit Cards, Consolidation loans, etc. Through the customer’s interaction with your business, they are taken along a path that you design to maximise sales revenue and customer satisfaction. Implementing these principles of up-selling and cross-selling in your online activities can be a vital resource to drive your bottom line just as brick-and-mortar institutions have been practicing for decades. Through the use of a sales funnel strategy and marketing automation technology, you are able to systematically guide a consumer based on their likes or interests. You can identify their needs and automatically serve an up-sell product that satisfies those needs. For example, if an online retailer sells shoes, the sales funnel may direct consumers to options for additional shoe laces or shoe protectant, helping to drive sales for related products or services. Additionally, marketing automation technology will come back into the sales cycle to help provide email communication, not only thanking the consumer for the purchase, but offering additional services or products to meet other needs. The ability to understand your customer’s behaviour throughout the sales funnel also allows you to send targeted reminder messages, follow up notifications or retargeted advertising that reminds them to complete a purchase, review new products relevant to them or engage with you in another way. All of this can be done automatically and tailored to each individual. You also gain valuable analytical information about each stage in the funnel so you can see where conversions are dropping off. For example, if someone purchased your new book, they can be placed into an email nurture campaign that includes insights from the book or asks them for a review on Amazon. Leads who reviewed your sales video for a higher end product might instead receive a series of retargeting advertisements that drive them to a demonstration page or encourage them to book a consultation with you. When they do, the email campaign to them could include case studies, customer testimonials and benefits of your product. If they decide not to buy your higher end product, you could then automatically down-sell them on your book and place them in the book nurture campaign sequence. These tasks would be all but impossible to do manually without significant overhead to your business. 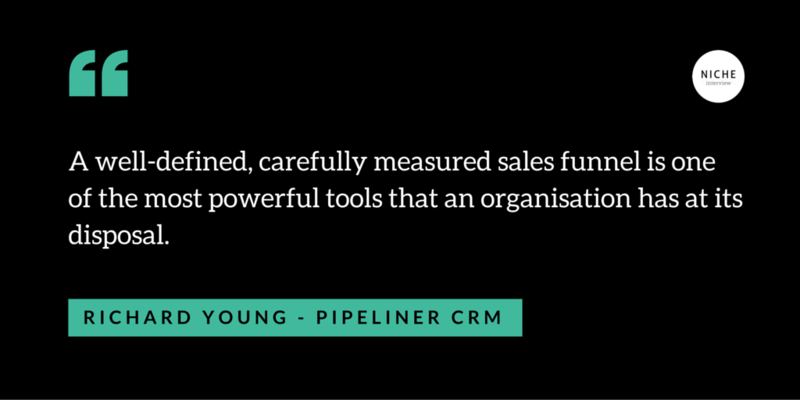 Taking the time in the beginning to develop efficient automatic communication and triggers through sales funnels will work together for a long term to drive performance. Once your sales funnel is set up it allows you to scale and improve each component systematically to maximise conversions, engagement and sales performance. Spend time mapping out your sales funnel before building anything. Conceptualising the user flow and “trigger actions” visually will help you to identify upsell opportunities, lead nurturing campaigns and ultimately ensure that the time spent building the funnel is valuable. Take an inventory of all your products and services and overlay them against your customer avatars to understand which offerings would be useful to each segment. Use this analysis for segmentation in your system. Tailor your sales funnel to various stages of buying behaviour, such as Attention > Interest > Desire > Action. The most basic form of sales funnel is Offer > Purchase > Thank you. You can enhance this by thinking about up-sell opportunities, so that the funnel becomes Offer > Upsell (yes/no) > Purchase > Thank you. For each Yes/No decision in the funnel, you can segment the audience and use marketing automation to place them in a different email sequence to nurture them closer to the sale. 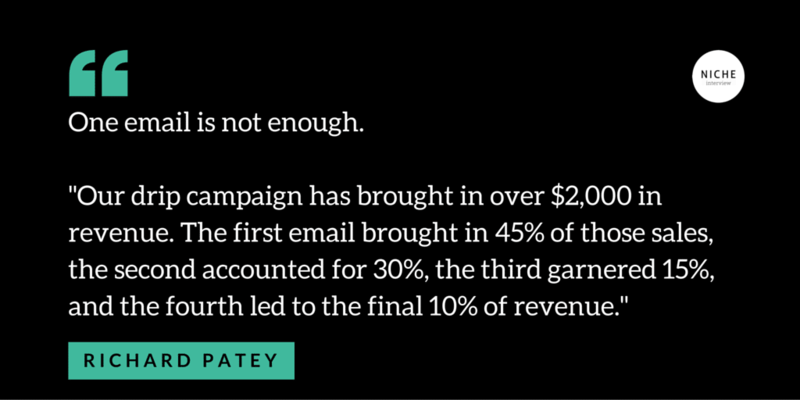 Marketing automation does not have to be expensive. Basic functionality can be achieved directly by your email autoresponder, and can tailor messages based on your customers’ interaction with your emails (are they reading, clicking or not). You can further enhance the capability by tracking consumer behaviour outside of the email itself, allowing you to send message when they visit your website or view your pricing pages. Platforms like Wishpond integrate all of this functionality into one. List of Marketing Automation Products ? Lucidchart – online flowchart system for mapping out your sales funnel visually? Using marketing automation technology with a sales funnel strategy can have powerful results for your bottom line. Here are some tips for implementation.